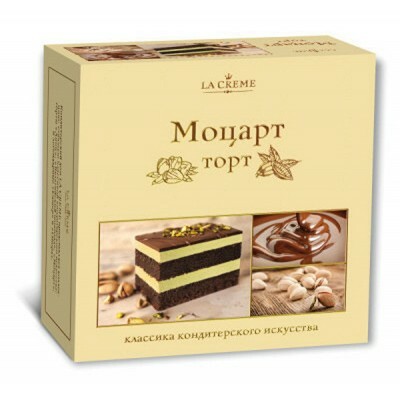 Cake "La Creme" Mozart buy for 10.4900 in store RussianTable with delivery. Classic Austrian cake. Chocolate cakes are interlaid with almond-pistachio cream mousse. Do you have any questions about Cake "La Creme" Mozart?